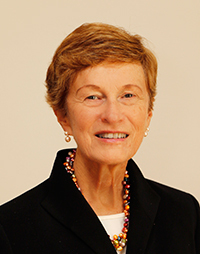 Margery A. Pinet has been appointed by the Cazenovia College Board of Trustees to serve as Interim President while the College undergoes a presidential search to replace Mark Tierno, who completed his 15 year tenure on June 30, 2015. Pinet has served the College in several roles over the last thirty years including professor of English, adjunct writing instructor, director of the Academic Learning Center, academic dean, executive vice president, highly respected member of the faculty, trustee and most recently vice chair of the College’s Board of Trustees. Pinet is a well-respected and recognizable member of the College community. She received an Honorary Degree at Commencement this past May, the Distinguished Faculty Achievement Award in 1988, a Presidential Medallion in 2000, and in 2006, the Board of Trustees unanimously granted her the esteemed status of professor emerita. Pinet has created several programs and funds to support academics and student life, including the Washburn Distinguished Lecture Series, the Washburn-Student-Athlete Fund, the Washburn Junior Teaching and Research Fellowships and the Margery A. Pinet Endowed Scholarship. Pinet's service as Interim President will be completed when the newly selected president of the College officially begins. For information about Cazenovia College's Presidential Search, visit www.cazenovia.edu/presidential-search.